SAAC welcomes the members of the orchestra who will be playing for the summer musical “110 in the Shade”. The musical director and conductor, Sarah Dailey, has selected a group of very talented musicians from the area to play the score for this golden age of Broadway musical. 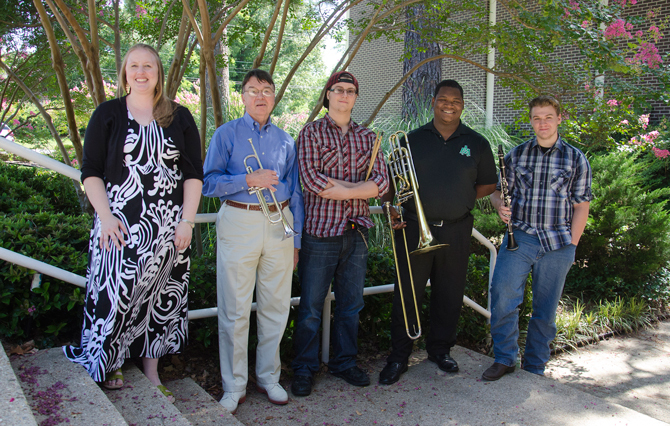 Members of the orchestra are conductor and pianist, Sarah Dailey; trumpet, Aubrey Talley; percussion, Jake Reynolds; bass trombone, Xavier Broughton; and clarinet, Dalton Cate. 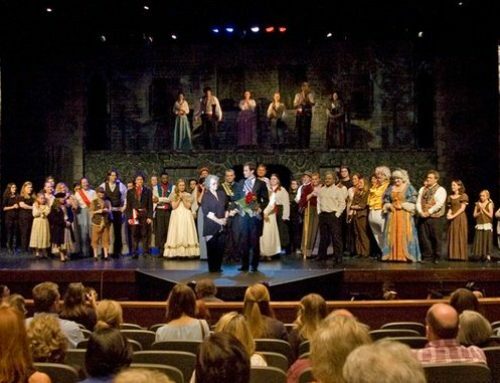 The musical will run July 14-17 and 21, 23, 24. The curtain goes up at 7:30 pm or 2:30 for Sunday matinee. Friday, July 15, is a special night for anyone age 35 and under – tickets for anyone under 35 years old can buy tickets for $10 each! The box office is open for tickets for “110 in The Shade”, which is sponsored by Murphy USA, and reservations can be made by calling the SAAC office at 870-862-5474, or you may drop by the office at 110 East 5th Street, El Dorado, Arkansas.